In a bid to strengthen its maritime capability close to the world's busiest shipping route, the Indian Navy has got the environmental clearance to expand Shibpur, the naval air station in the northern part of the Andaman Island. NEW DELHI (Sputnik) — Shibpur naval air station will be the second large airstrip after India had commissioned and later expanded naval air station Baaz at Campbell Bay on the Great Nicobar Island. Indian armed forces operate Dornier, Mi-8, Chetak aircraft from NAS Shibpur airfield, which after the expansion would be approximately 100 hectares and serve larger aircraft. "Present runway length is 1000 meters, where only few defense aircraft can land. On acquisition of forest land of 100 hectares north of the strip, the runway length will be extended to 3000 meters for operation of wide-bodied defense and civil flights," the Indian Navy's proposal document said. Indian authorities will need to cut 20,018 trees for this expansion plan. Presently, the Indian Navy owns 67.54 hectares at its existing air station. The project has been waiting for approval since 2015. The Navy has emphasized the strategic importance of the project and asked the government that "requirement of land is unavoidable and barest minimum". "No cost-benefit analysis of the project has been provided, however, it has been stated that the extension of runway will not only consolidate the security and surveillance over Northern Group of Islands but will also assist in rapid developments of civil infrastructure which will immensely benefit the local population," a document of India's Ministry of Environment and Forests said. India's naval air station at Campbell Bay on Great Nicobar Island is located 240 km from the mouth of the Malacca Straits. Indian Navy considers this to be a vital geo-strategic advantage. "Not only do they provide the Nation with a commanding presence in the Bay of Bengal, the Islands also serve as our window into East and South East Asia." India has progressively developed Port Blair as home to amphibious platforms, naval offshore patrol vessels and fast attack craft. 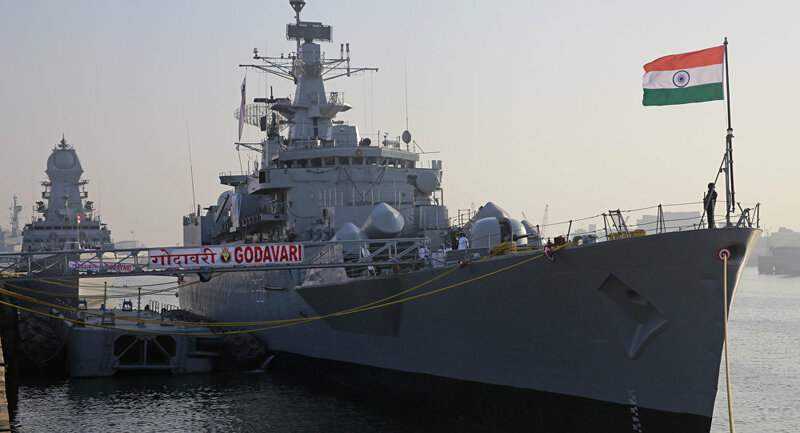 One of the primary functions of INS Baaz is to provide information, based on "airborne maritime surveillance", Admiral Nirmal Verma, Chief of the Naval Staff said. 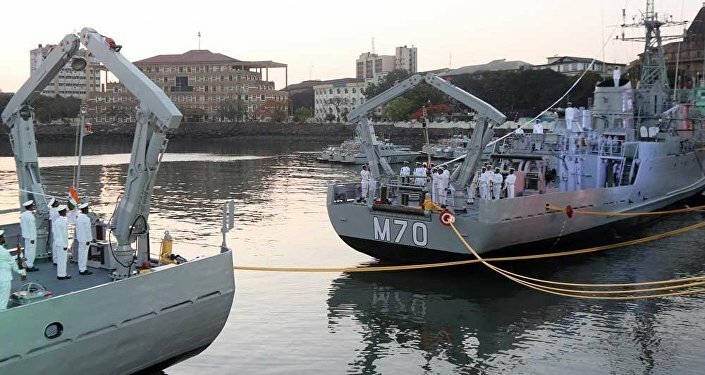 In March this year, Indian Navy had commissioned the first of its eight amphibious landing craft at tri-service command headquarter in Port Blair. This landing craft is meant to transport 145 tons of military equipment like main battle tanks, armored vehicles and 165 fully-equipped troops. India also has an IAF base at Car Nicobar, named Carnic air force base and naval base Kardip, located on Camorta Island, a part of the Nancowry group of islands. INS Kardip was commissioned in 1973, serves a key function of providing operational support to Indian Navy and Coast Guard ships operating in and around the Nicobar Islands.